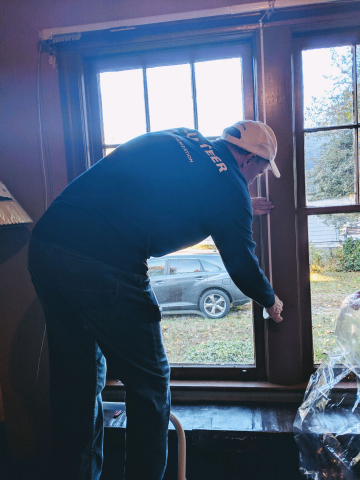 "At WGL, giving back to the communities we serve is a core value and we’re excited to help neighbors, friends and families across the region with resources to prepare their homes and lower their energy bills as we brace for colder temperatures and wintry conditions"
WASHINGTON--(BUSINESS WIRE)--Today, WGL hosted its sixth annual Day of Weatherization, a community initiative featuring employee volunteers visiting low-income and elderly residents throughout the region to provide energy-efficiency services to reduce heating bills and bring added warmth to their homes as the winter season approaches. This year, more than 200 WGL volunteers participated across the District of Columbia, Virginia, Maryland and West Virginia by working together on a variety of jobs including weatherizing houses in local neighborhoods and installing solar panels on rooftops. 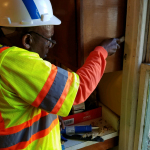 As a result, the day ended with approximately 100 homes in the area all set to benefit from lower energy expenses and enjoy the warm indoors over the frigid cold and harsh weather anticipated in the chilly months ahead. The typical low-income home saves an average of 25% on energy consumption after weatherization services and saves an average of more than $275 annually in energy spending, based on industry reports. 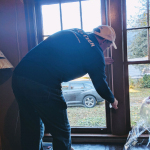 This annual WGL event continues a longtime corporate custom, which began in 2005 when Washington Gas, the company’s regulated natural gas utility, led the weatherization of homes in the area. 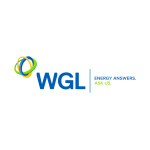 For the past six years, the effort has also included WGL Energy, Hampshire Gas and WGL Midstream, so that all WGL entities combined actively participate to provide energy efficiency services across its service territories to support those in need. For the fourth year in a row, WGL partnered with GRID Alternatives Mid-Atlantic, a D.C.-based non-profit that provides solar power in underserved communities. Groups of volunteers from both companies installed roof top solar arrays at two homes in Northwest D.C. Expanding the use of solar as an energy source supports the program’s mission to help reduce energy bills and increase energy efficiency in diverse ways. Be sure to check online for winter preparedness tips by Washington Gas for a safe and warm winter season. GRID Alternatives is a national 501(c)(3) non-profit organization that makes renewable energy technology and job training accessible to low-income communities. We bring together community partners, volunteers and job trainees to implement solar power and energy efficiency for low-income families, providing energy cost savings, valuable hands-on experience, and a source of clean, local energy that benefits us all. More than 11,000 families have benefited from our work to-date, saving $333 million in lifetime electricity costs, and over 39,000 people have received solar training. www.gridalternatives.org/midatlantic. 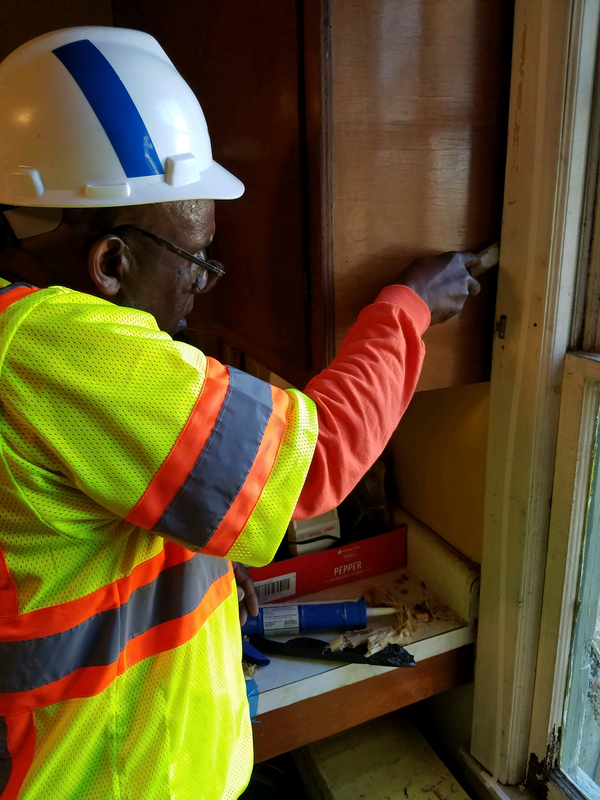 WGL’s sixth annual Day of Weatherization prepared the homes of low-income and elderly residents for winter conditions. More than 200 volunteers treated approximately100 homes throughout Washington, D.C. Maryland, Virginia and West Virginia.